I love pancakes. I have them almost every week. In my opinion, you shouldn’t have to wait for pancake day to treat yourself! 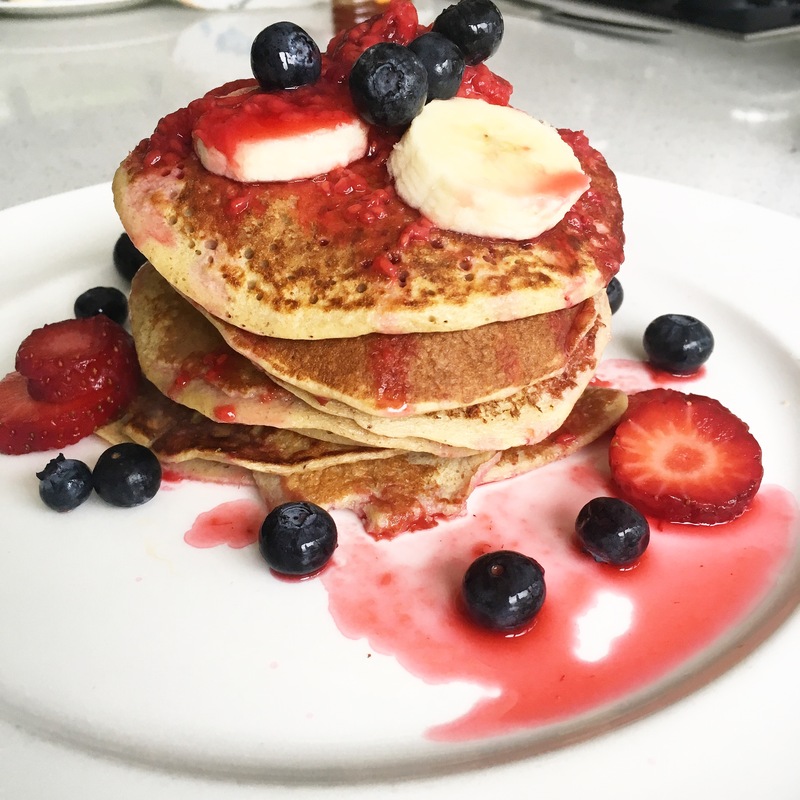 With pancake day coming up in a few days time, I thought I’d share with you my favourite protein pancake recipe. 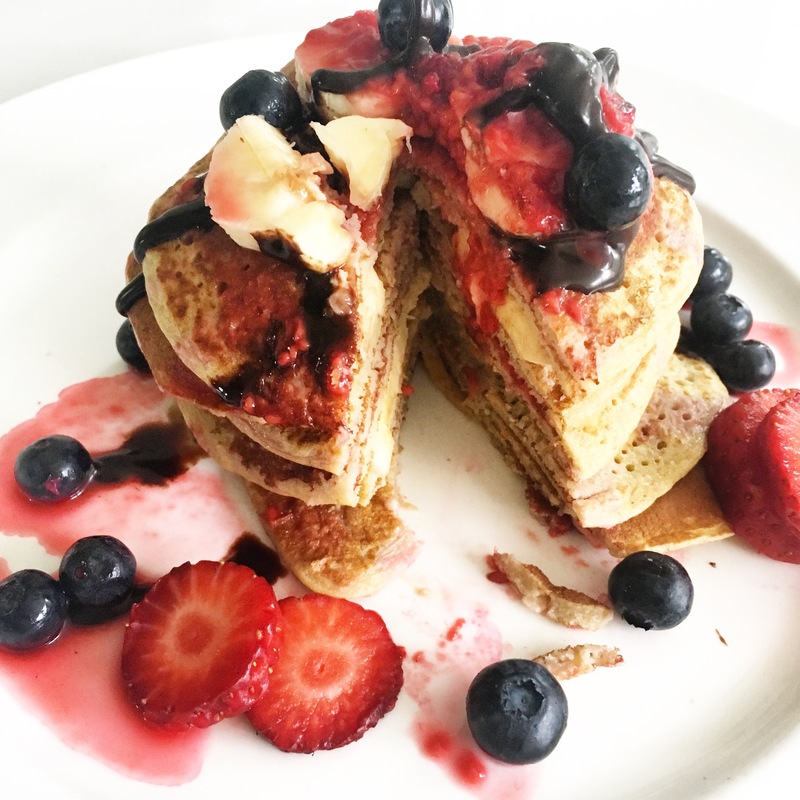 I do love traditional pancakes, but if you are looking for a healthy (ish) alternative with plenty of protein, and simple ingredients then check this recipe out. I’ve been using this over the past few months and they are extremely tasty, fluffy and so simple and easy to make! Ingredients – Serves 2 or if you are hungry, 1 large portion. Makes around 8 pancakes. Blitz your oats in a blender until a flour consistency is formed. Add all other ingredients and blitz again until a smooth batter is formed. If you are adding half a banana, make sure to mash it up with a fork beforehand! Melt coconut oil in a non-stick frying pan over a medium heat. Add desired amount into the pan depending on how large you want your pancakes to be! I prefer small American style pancakes, rather than large ones! Finally, add desired toppings! Always the best part! 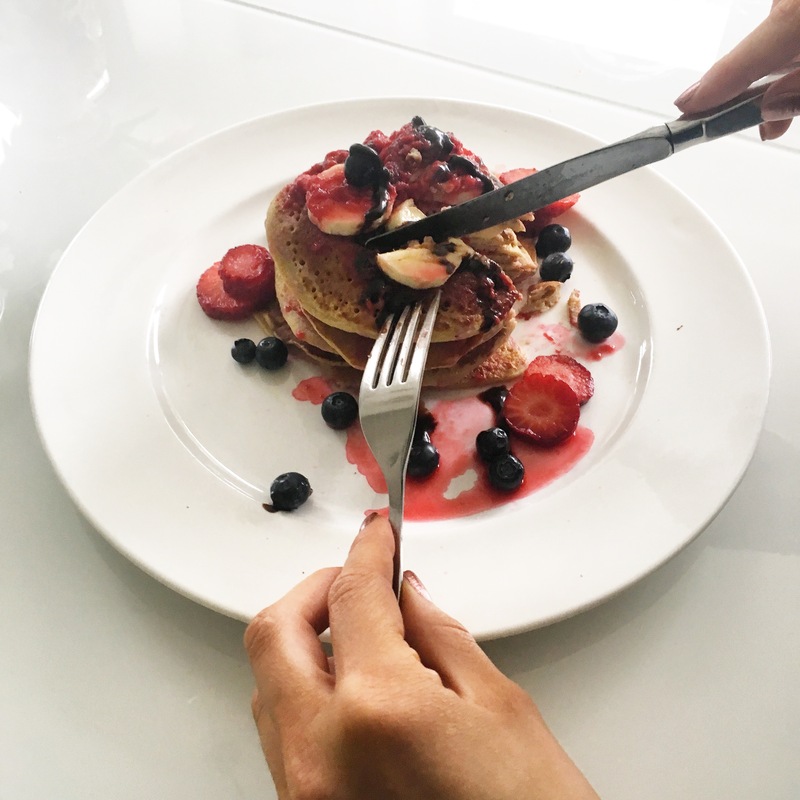 What’s your favourite pancake recipe and toppings?